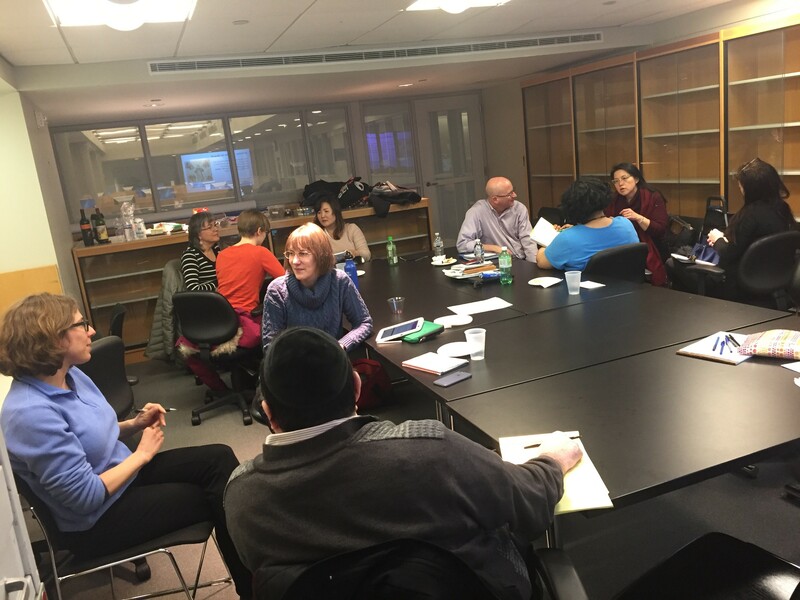 A dozen or so librarians from around the New York City area met at the CUNY Graduate Center on March 15th, the day after the snowstorm, to discuss the rewards and challenges of the writing craft. Susanne Markgren and Linda Miles created and facilitated the event as members of the ACRL/NY Research and Writing Group. The program’s official title was “Developing a Creative, Focused, and Accountable Writing Practice.” Participants discussed such topics as goal setting, accountability, finding a home for one’s work, and best techniques for establishing regular writing habits. There was also a four-minute “flash” Shut Up and Write (SUAW) component in which the group worked silently on a project they are either considering or which they already have underway. Many participants had never attended a SUAW session before and were surprised at how well the experience focused them on the task of putting thought to paper. There was a healthy amount of chatter and good cheer as well. Over refreshments, the group discussed what they learned and could take away from the evening as they move along with their various endeavors. This entry was posted in Professional Development and tagged Research and Writing Group by Derek Stadler. Bookmark the permalink.